Rare Earth Elements are a group of 17 metals which have a central role in modern industry, increasingly used in the fields of green technologies, high technological consumer goods, industrial and medical appliances and modern weapons systems. Although deposits of Rare Earths are globally dispersed, over 90% of global demand has been provided by Chinese mines since the late 1990s, leading to a situation where China has a virtual monopoly. 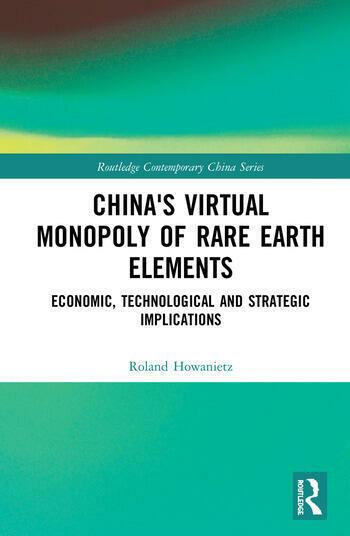 This book surveys the Rare Earths mining industry, discusses the extent to which Rare Earths really are scarce elsewhere in the world and assesses the economics of production, considering arguments for the rationing of supply, for higher pricing and for a total export embargo. This actually occurred in 2010, demonstrating the vulnerability of the rest of the world to China’s control of these increasingly vital resources.